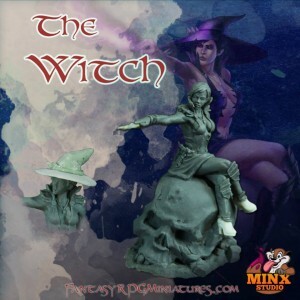 Minx Studio is showing off the completed green for The Witch, one of the stretch goals in their Fantasy Miniatures Kickstarter campaign. Here are the final photos of our second stretch goal miniature, the Witch! She will be fully removable from the skull and comes with an optional (and stylish) hat!